October can be a volatile month for equities. Since 1984, seven of the 10 largest one-day falls in the market have occurred in October. The largest fall happening on 20 October 1987 when the FTSE 100 Index fell 12.2%. 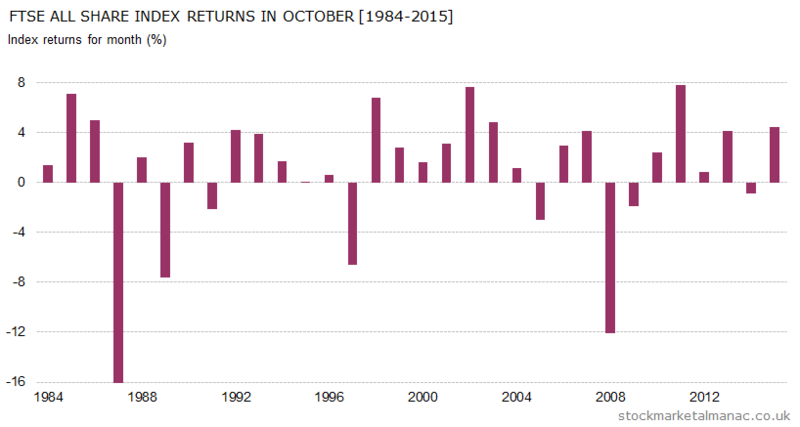 And since 1970 the average month return for the stock market has been 0.4% ­ ranking October 9th of the 12 months. So, this would appear to bode ill for investors in October. However, if you look at the accompanying chart you will see why averages don’t tell the whole story and how things have changed in recent years. 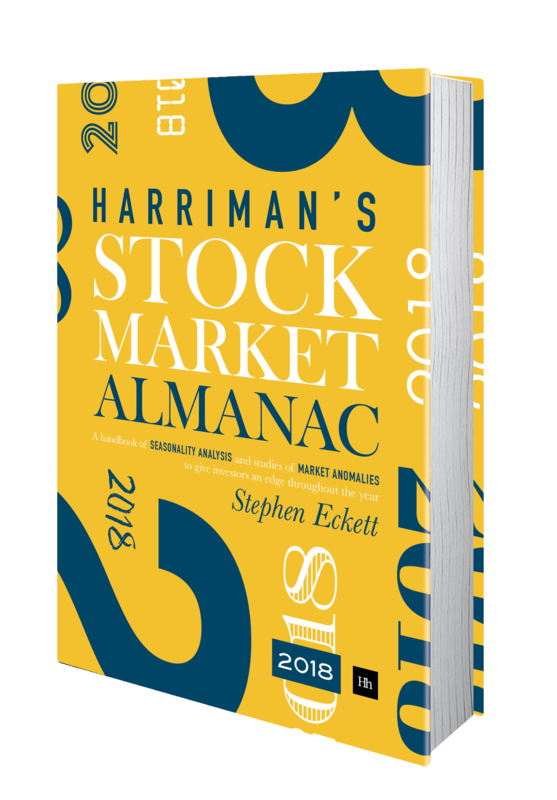 For example, since 1992 the market has only fallen in five years (and two of those of year were the exceptional years of 2008 and 2009). And since 2000 the average stock market return for month has been 1.7%, making it the second best month for equities after April. The strength of equities in October may not be unconnected with the fact that the strong six-month period of the year starts at the end of October (part of the Sell in May effect) and investors may be anticipating this by increasing their weighting in equities during October. But while October, therefore, should be regarded as a good month for shares, any occasional weakness in the month can be severe. Dates to watch out for this month are: 7 Oct – US Nonfarm payroll report (anticipated), and 13 Oct – MPC interest rate announcement at 12 noon. And, finally, for connoisseurs of market anomalies, here’s a good one. An old Wall Street adage goes, “Sell before Rosh Hashanah; buy before Yom Kippur”. This observation was first made for the London market in 1915, and research shows it would still seem to apply in both the UK and US markets. Rosh Hashanah falls on 2 October and Yom Kippur is on 11 October.